Finding space that isn’t being used where you can add extra storage space for residents is ideal. This is where the Bradyl Box™ comes in. The Bradyl Box™ is an over-car storage solution that provides additional space within a covered garage setting. If your property offers covered parking, then you likely have a ton of space that is going to waste when it could be used for resident storage. Our over-car bonnet offers a storage space that can conveniently house automotive accessories, outdoor gear, or anything you’d typically keep in a garage. 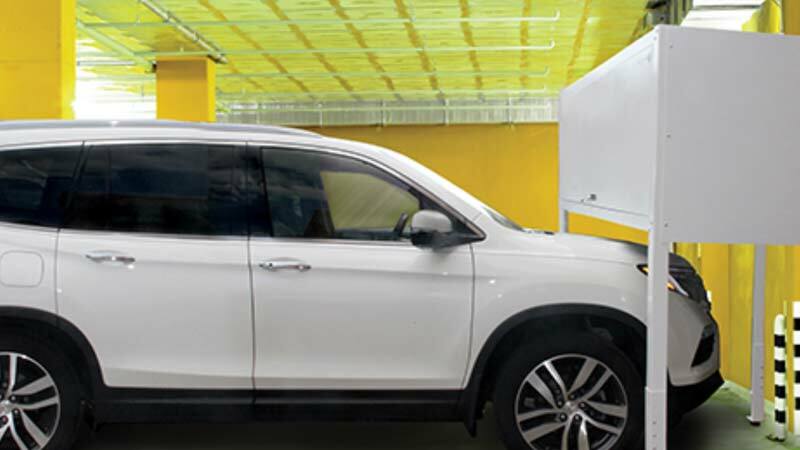 Bradyl Box™ is a free-standing, lockable storage unit that sits at the head of a parking space, over the hood of a parked car, allowing residents to store a large amount of their belongings in a 24/7, convenient and secure location. These urban storage units feature 72 cubic-feet of storage space right within their designated parking space and feature convenient one-handed opening with gas-strut doors. The Bradyl Box™ is specifically designed for multifamily properties. By using space that already exists, you can provide safe, secure, sustainable storage that your residents are in search of. Residents often believe that living in an apartment means losing the convenience of on-site storage, especially in a garage setting. What ends up happening is a lot of unsightly clutter or renters reluctantly spend time and money on off-site storage, knowing there should be a better solution. The Bradyl Box™ provides the solution that can make residents choose your property over competitors. 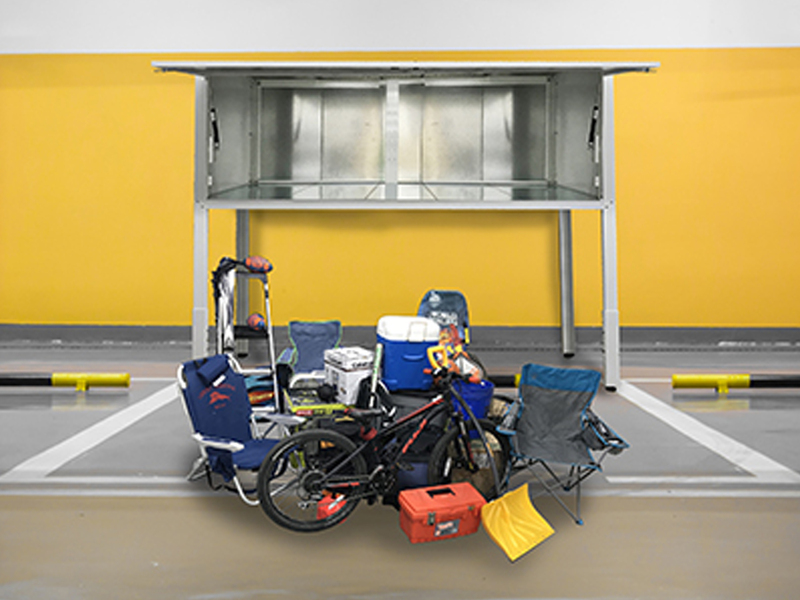 Our over-car storage solution is powder-coated solid steel to stand up to multiple turnovers and fits over all cars, including SUVs and most trucks. It fits within standard parking spaces and is free standing with anti-tip hardware. It’s easy to use, safe, and secure. Perhaps the best part of the Bradyl Box™ is the ROI you will see. You can offer premium parking spaces and turn extra space into more revenue with ease. If you’d like to learn more about Bradyl Box™, or any of our storage solutions, contact us today!